Sometimes books appear to have two frontispieces. 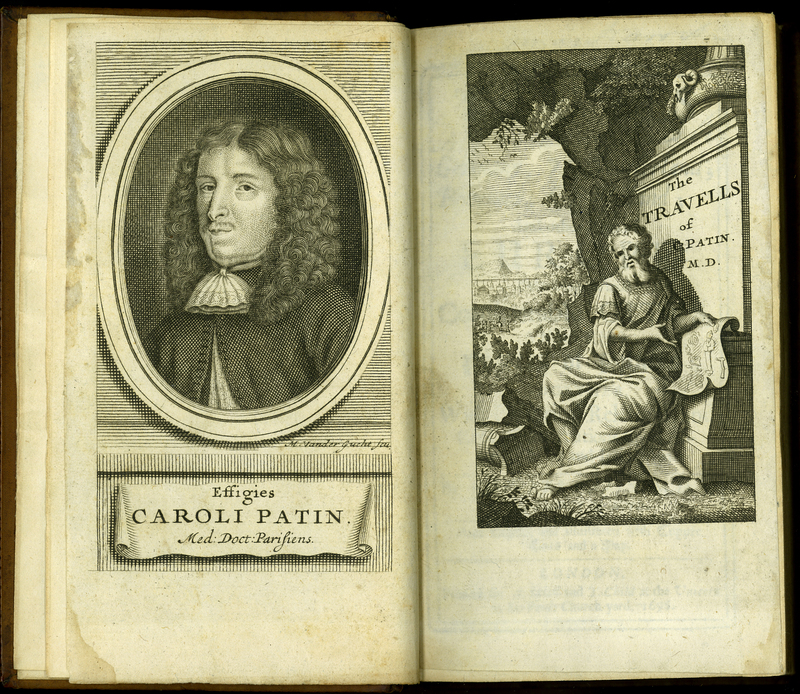 Here, in the conventional position of the frontispiece (left), sits a portrait engraving of the author, physician, numismatist, and traveller, Charles Patin (1633-93). The portrait is by Flemish-born engraver, Michael vanderGucht (1660-1725), who spent most of his career working in England. It is unclear whether the second frontispiece on the right, an engraving of an antiquarian scene, and the other images in the book are by vanderGucht as they are unsigned; however, they most probably are. Charles Patin, “Travels Thro’ Germany, Bohemia, Swisserland, Holland; and other Parts of Europe,” ourheritage.ac.nz | OUR Heritage, accessed April 24, 2019, http://ourheritage.ac.nz/items/show/10687.